Regional publisher Newsquest has launched a new free weekly newspaper in East Lancashire. The Post will be distributed to 10,000 homes from this Friday and is a sister title to daily publication the Lancashire Telegraph. 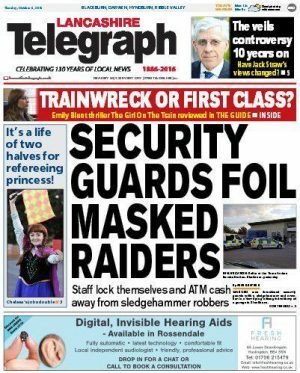 The Telegraph will continue to provide coverage of news, council business and sport, while The Post will focus on human interest stories and features in the more affluent areas of the region. It will also actively promote the Telegraph – which had a circulation of 12,603 in the six months to the end of 2015 - and feature business, entertainment, travel, education and fashion content from the daily title. It follows a similar move by Newsquest in February 2016 when it launched The Bolton Post, a free weekly sister title to The Bolton News, which the publisher described as “a strong commercial success”. Newsquest North West’s group editor Ian Savage, who oversaw the launch of both papers, said: “The Post gives us the opportunity to reach a wider audience and new readers, as well as promote our daily newspapers. “The Post is significantly different to the dailies – it has no crime, court, council or sport coverage which the daily titles cover in excellent fashion already. The Post will cover districts including Darwen, Feniscowles, Lammack, Langho, Mellor, Pleasington, Pleckgate, Rishton, Wilpshire and Whalley. It will hope to avoid confusion with Johnston Press title the Lancashire Evening Post, which recently announced it would be rebranding as The Lancashire Post.